When choosing furniture for your office, it’s important to consider the type of environment you want. Should workstations promote individual work, or should they encourage collaboration? For maximum flexibility, invest in something that offers both and allows easy transitions from one type of work to the next. Modular office furniture systems offer endless configuration possibilities through the use of partitions, dividers, and panels. They save space by building upwards instead of outwards, and they provide more storage space per desk. These systems also offer movable walls, which allow collaboration between colleagues while providing privacy where necessary. At Source we offer a variety of partitions and panels that are both versatile and stylish. The Solero Eclipse Series is designed to suit a variety of spaces and work styles, and its professional profile and clean lines offer a range of aesthetic options to maximize your design freedom. From individual spaces to team workstations, Solero Eclipse can make it happen. Visit Source Abbotsford‘s Space Planning Experts today to create a well-organized, efficient floor plan that gives your business room to breathe. 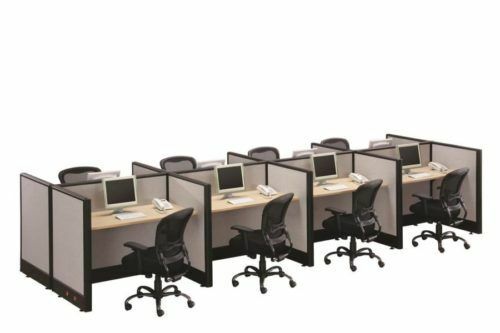 Source Office Furnishings – Making Your Office Work Better!